I purchased these to use in a candy buffet for a high school graduation. The different shapes will be perfect for the different candies. Q:Can you engrave something on the jars? A:These jars come as is. Bell jar: 14"H, 5'' diameter, Appx 50 oz. 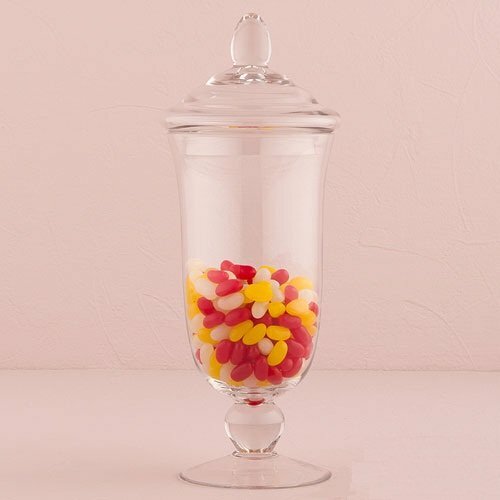 Straight jar: 20"H, 6.25'' diameter, Appx 100 oz. Globe jar: 15.75"H, 5.75" diameter, Appx 67 oz. 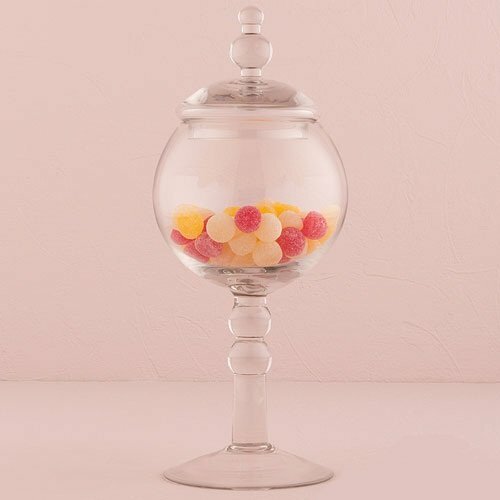 A unique pedestaled apothecary jar is a statement piece that looks great on candy buffets or throughout tabletop decor. 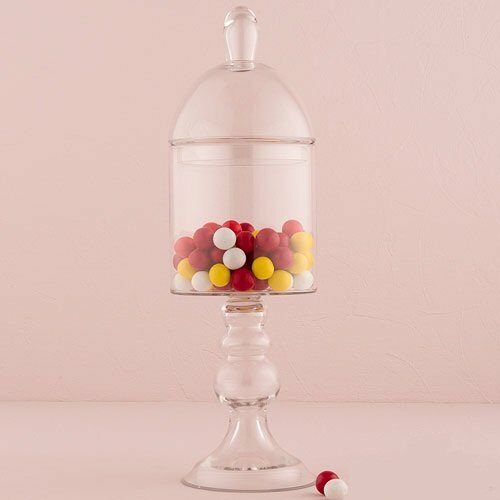 This is an excellent container for collecting guests' well wishes, as an impressive centerpiece, or as a decorative element for a guest book table. 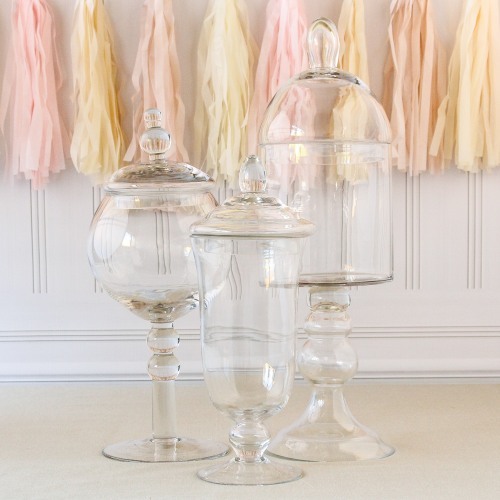 Mix and match between the globe-shaped, straight-sided, and bell-shaped jars for a multi-dimensional look!